Lysandus was born some time in the Fourth Century of the Third Era, though the exact year is disputed. [nb 1] He wed Mynisera, and their only child Gothryd, was born in 3E 382. The king also kept a mistress, the court sorceress Medora Direnni, and over time the pair fell in love. Lysandus was once involved with Mynisera’s father, Prince Klaius, in a troubling incident involving the Orcs. After defeating the warriors of an Orcish settlement, Klaius ordered his men to make sport of killing the survivors (the elderly, sick, and children). The Orcs pleaded for mercy, but to his shame, Lysandus did nothing to stop the slaughter. Later in life, Lysandus is known to have supported the Orc Warlord Gortwog gro-Nagorm in his efforts to gain equal recognition for the Orcs from the Empire and sovereign rule. With piracy on the rise in 3E 402, Lord Mogref of the independent fishing island of Betony agreed to vassal himself to King Lysandus in exchange for Daggerfall's protection. This angered King Camaron of Sentinel, who cited a centuries-old contract which held that Betony was a traditional holding of Sentinel. Tensions mounted, and though Medora and Nulfaga (a renowned mystic in her own right) counselled against war, foreseeing doom for Daggerfall, the king was unmoved. The two kingdoms went to war. 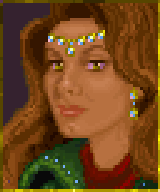 While Lysandus was away leading the armies of Daggerfall, Mynisera discovered evidence of his affair with Medora. The queen banished the sorceress from the court. Medora retreated to Direnni Tower, her clan's ancestral home on the Island of Balfiera. 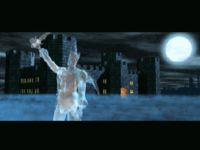 A number of major victories put Daggerfall in a position to win the war outright. But Nulfaga's warnings still went unheeded, so she also left the court for her castle in the Wrothgarian Mountains, leaving behind her dragon familiar, Skakmat, to report. Nulfaga’s exit made Lysandus reconsider the war, and the king finally made an overture for peace. The two sides met at Reich Gradkeep and came to a compromise. The war would have ended there had not the Daggerfall scribe, a fanatical follower of Kynareth, substituted a fake treaty for the kings to sign. When this ruse was discovered, Reich Gradkeep erupted into a bloodbath. The forces of Sentinel retreated to the Yeorth Burrowland and Daggerfall to the Ravennian Forest, their positions separated by the flowering meadowlands of Cryngaine Field. One week later, the reinforced armies of Daggerfall and Sentinel met at Cryngaine Field. As the battle commenced, a mysterious fog settled across the battlefield. This fog was created by Skakmat on Nulfaga’s order, her last-ditch attempt to end the war. 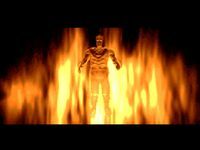 However, the histories say that when the fog lifted, King Lysandus was found dead, an arrow lodged in his throat. Prince Gothryd was quickly crowned the new King of Daggerfall, and led his armies to a decisive victory, thus ending the war. The tales are false; King Lysandus was killed the night before the battle, slain by an assassin. "...shall abandon mine responsibilities. You and... together. The rest of the world be damned. Let me put this...Betony behind. I shall crush them at Cryngaine. During...dead. No one will suspect that a king would give up..."
Lysandus was never an ambitious man. 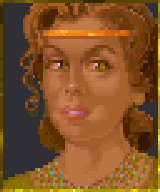 When Medora was banished from court, he decided he would rather spend his life with her than remain as King of Daggerfall. He planned to fake his death after the conclusion of the war, figuring no one would ever suspect a king would abandon his throne. The account given by the Scenarist Guild claims that Prince Gothryd, wanting his father to be happy, helped execute the plan. On the eve of the battle, Lysandus was visited by a delegation from Wayrest, led by a minor lord named Woodborne. The king switched clothes with an unnamed, impoverished Wayrest noble aligned with the lord, and left with Woodborne. The next day, the noble entered the battle wearing the king's armor, and when the fog descended Gothryd shot and killed the ersatz Lysandus with an unmarked arrow. Meanwhile, Lysandus and Woodborne boarded a ship for Balfiera. While at Tamarilyne Point on the coast of Menevia, Woodborne disembarked and ordered Gortwog (with whom Woodborne was allied) and his Orcs to kill Lysandus. The ships were sunk and the party slain, and the king's corpse was interred in an unmarked crypt not far away. While portions of this narrative ring true, it is inaccurate. Wayrest did send advisors to meet with both the Daggerfall and Sentinel camps that night. However, the assassin was among them; while the Wayrest delegation spoke to Lysandus, one of their number slipped a dagger between the king's ribs. The assassin was Lord Woodborne himself. The Warlord Gortwog was involved in events that evening, as he had advance notice of the assassination plot. However, as Lysandus was supportive of his goals, Gortwog sent his orcs to attack and waylay the Wayrest delegation. The Orcish warriors were killed in the failed attempt. Despite these inconsistencies, the "impoverished noble" story does explain the belief that Lysandus died of an arrow on the battlefield, and the king was indeed interred in a tomb in Menevia. Additionally, it is known that King Gothryd and Lord Woodborne were conspirators in a scheme for power some years following these events, and some have intimated that Gothryd was also a conspirator in the plot to kill his father. 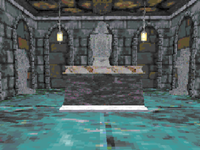 In 3E 404, King Lysandus returned to the city of Daggerfall as an undead spirit, bring with him a legion of ghosts. The city guards tried to fight off the undead army, but those who fell soon joined its ranks. Lysandus and his legions began haunting the streets at night, and the king's shade was known to utter the word "vengeance". The situation attracted the attention of Emperor Uriel Septim VII, who sent an agent of the Blades to investigate the matter in 3E 405. These investigations led the agent to Medora, who with Gortwog’s help concocted a magic dust that would soothe Lysandus' angry spirit. The Underking provided the location of Lysandus' tomb in Menevia; the agent ventured inside and sprinkled the dust on the king's bones. This soothed Lysandus' spirit enough to appear before the agent, reveal Lord Woodborne as his murderer, and demand vengeance. Following the king's wishes, the agent invaded Woodborne Hall, and either killed Lord Woodborne or found evidence that was used to orchestrate his ruin. Once his vengeance was complete, King Lysandus was able to rest. The wraiths and ghosts of his loyal soldiers vanished as his soul passed to the underworld, leaving the city of Daggerfall to the living. 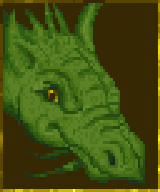 ^ According to the family tree found in The Daggerfall Chronicles, Lysandus was born in 3E 314. However, as this date would make the king older than both his parents, it is likely erroneous. The Daedric Prince Sheogorath mentions "the ghost of King Lysandus" in passing in TES V: Skyrim. In TES: Arena, the ruler of Daggerfall is identified as King Tristyctor. It is unknown if this refers to Lysandus, but if not, it would suggest that he did not directly succeed his father as king. This page was last modified on 11 March 2019, at 15:55.